and atmospheres, in an ecological concept. 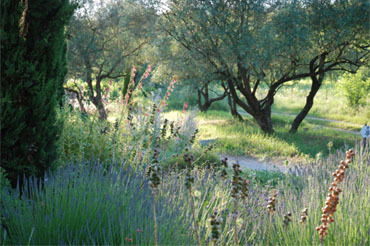 Garden enthusiasts, you want to succeed in creating your Mediterranean garden. Choose a garden that is adapted to the Mediterranean region, a garden that needs no watering or a dry garden, as an environmentally friendly choice. 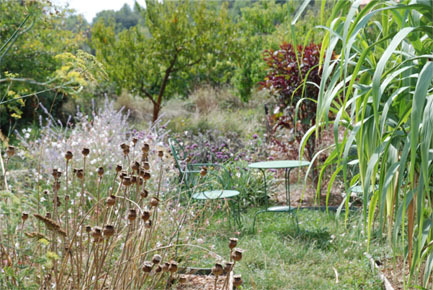 Jean-Jacques Derboux, landscape gardener in Montpellier (Hérault) offers you the benefit of 30 years experience of creating gardens and a wide knowledge of plants and techniques for dry gardens. He is the author of "Creating a garden without watering" Published by Ulmer. See photos of the gardens created. 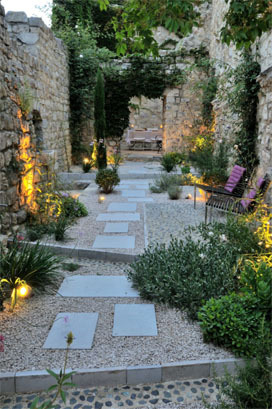 to create unique, intimate and ecological gardens. In site, our gardeners, or artisan partners conduct the landscaping work: from excavation to outdoor decoration.